There are few things more thoughtful than a personalized gift, especially one that shows your love in a subtle but chic way! 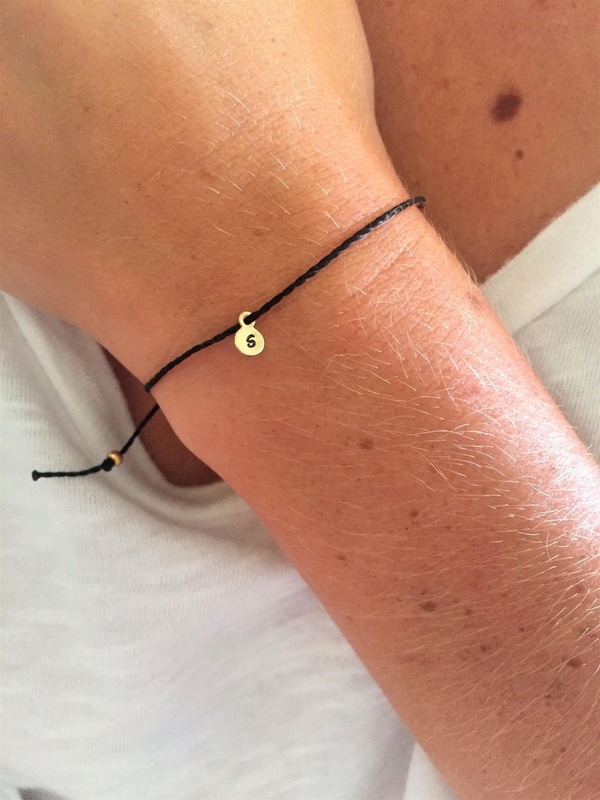 This dainty, personalized bracelet makes the perfect gift for anyone and for any occasion. Gift it to your sister, best friend, significant other and any other special person in your life; no matter their style they are sure to love it! 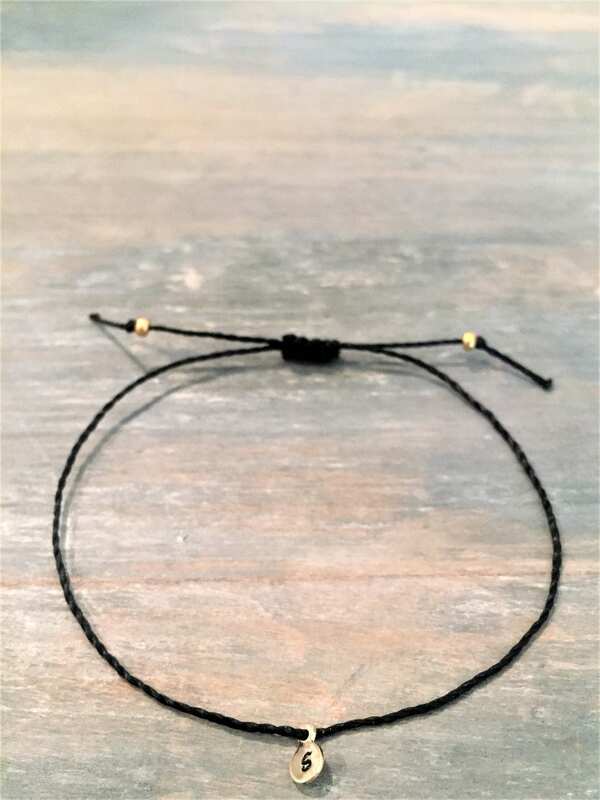 This delightful bracelet is made with durable waxed Linhasita thread and a tiny gold filled charm. The charm is hand stamped with the initial of your choice in ImpressArt's basic bridgette lowercase letter font (see font style in last picture). 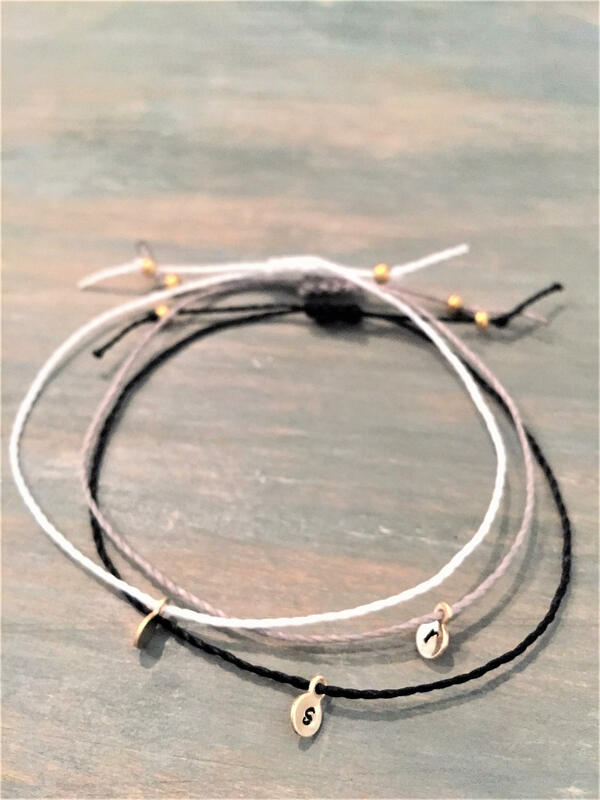 The bracelet is made adjustable with a sliding knot closure and the ends are finished off with two Duracoat Galvanized Gold Miyuki seed beads. 1. Choose the thread color you want from the drop down options. 3. To let me know what you would like the initials to be click "add to cart" or "buy it now" and let me know the initials in the "add additional note to seller" box. 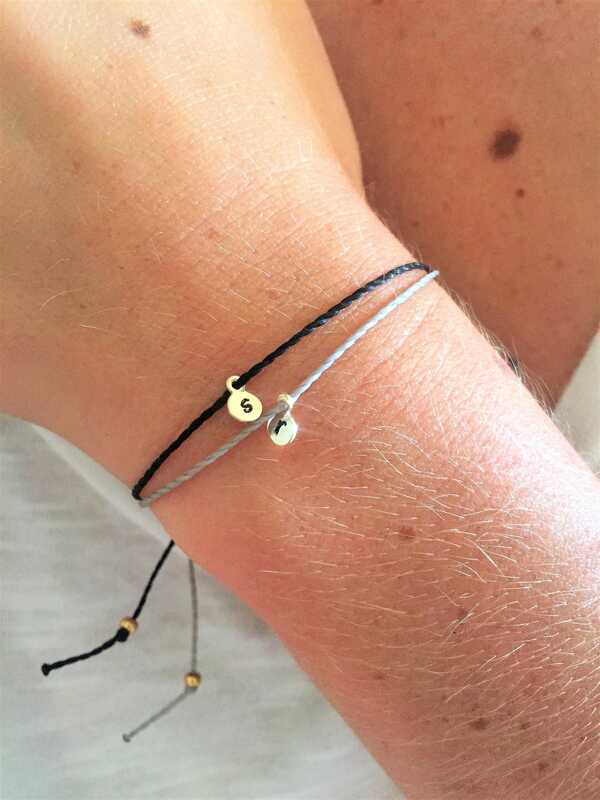 One size fits most - bracelet is adjustable with a sliding knot closure. All bracelets are handmade to order by me in the sunny state of Florida. I make and ship most items within 1-2 business days but please notify me when you place your order if you need something in a hurry and I will do my best to get it out that day! 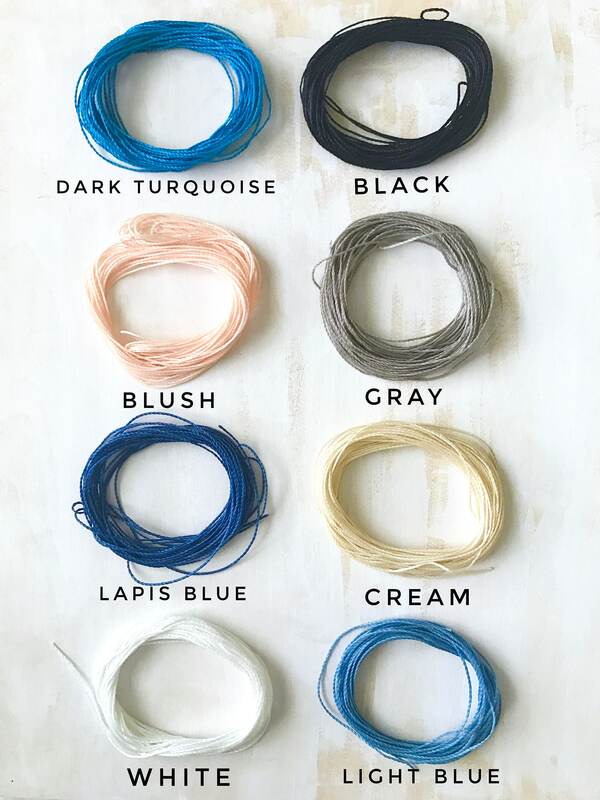 • Linhasita thread is a high-quality thread that is waterproof, sturdy, and won’t lose its shape or color after normal wear. • Your Stamping Charm is gold-filled. Gold-filled is a higher quality and more durable alternative to gold plated and is intended to last over time with the correct care and attention. • Remove bracelet before cleaning, swimming, and doing sports activities / working out as these activities cause unnecessary wear to your bracelet. Try to keep from exposing the bracelet to oils, lotions, perfume, detergents, harsh chemicals etc. as these may change the appearance of the bracelet and/or cause discoloration and wear. Be aware that a high skin pH can cause your charm to darken slightly. • If you do need to clean, a soft cloth is the best way to maintain the beauty of your charm. Bracelets looked great with beautiful packaging! ABSOLUTELY STUNNING! Been wearing my pieces everyday since i got them :) Thank you for the personalized packaging such a sweet touch. Thanks a ton !!! looking forward to ordering more pieces! !